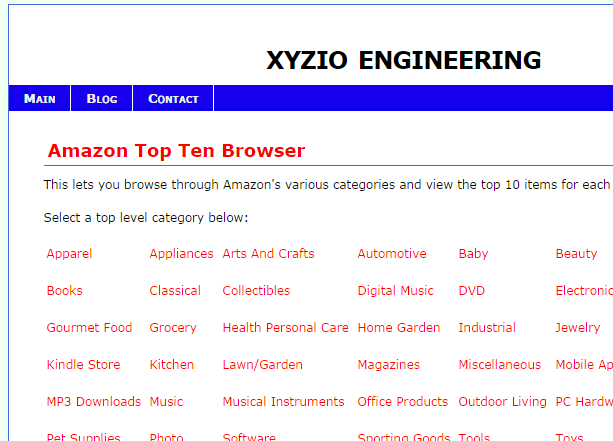 This project lets you browse through Amazon’s various product categories and view the top 10 sellers for that category. You can browse down into sub-categories as well as up into parent categories. I wrote this to learn about Amazon’s Product Advertising API. Using the API is simple, especially with the sample code provided by Amazon. Amazon returns a lot of information, so the slightly tricky part was figuring out how to parse the XML to get only the information I need.